While still in his native France, Paul Gauguin yearned to escape the civilized society he knew. Wishing to imbue his art with a sense of primitivism, he sought refuge in a country he thought untouched by modern practices. 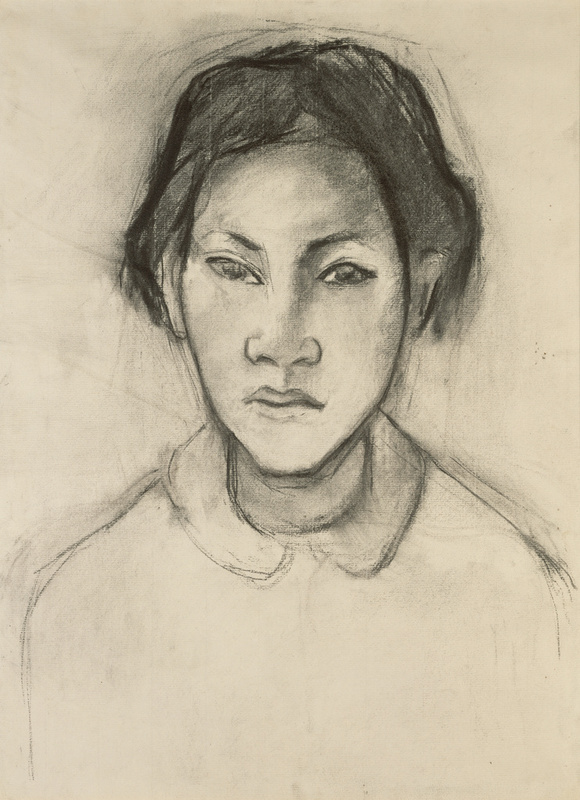 Gauguin found the inspiration he was looking for in Colonial French Tahiti, where he made this life-size drawing of a rather defiant looking teenage girl. In the drawing, he boldly articulated her head, face, and neck, while indicating her shoulders and collar with lighter lines. But the girl's Western dress suggests that Tahiti was not the exotic land Gauguin had imagined: missionaries had destroyed its pre-European culture. Using flat, decorative forms, Gauguin presented Tahitian women as mysterious, unknowable creatures.